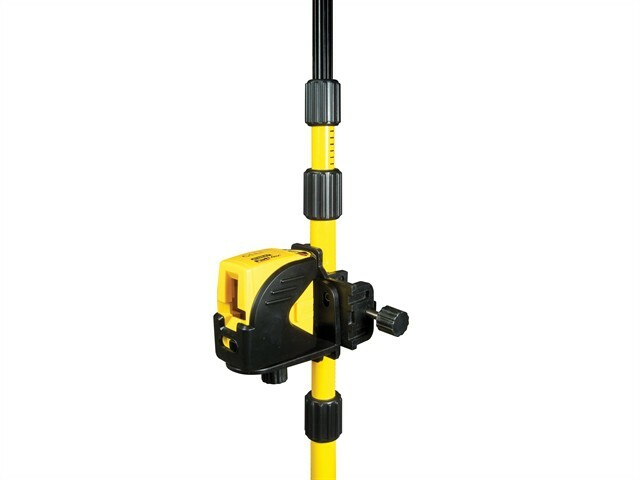 The Stanley FatMax 77-123 CLLi Cross Line Laser Kit has a 25 metre range for use in an interior or exterior working environment. It projects 1 horizontal and 1 vertical line to create a cross line, making this ideal for quick layout jobs. It has an Out of True level sensor, magnetically damped pendulum and a pendulum lock for safe transportation.